Does it sometimes feel like you and your child speak completely different languages? With TLP's Nicole Adams, parents learned how to better communicate with their children and strengthen their relationships. As we're coming towards the end of this year's Parent Institute workshop series, we shared laughter, honesty, and learned how to be better parents, the hardest job in the world. At our April PTA meeting, Ms. Ross & Ms. Persad shared some important information about the college process and what SCCS is doing to support students/parents on this journey. 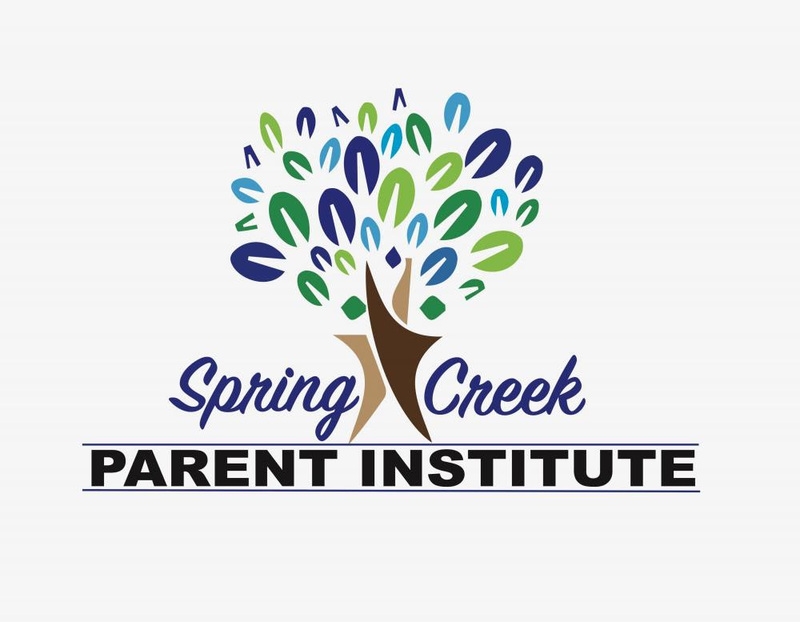 Come celebrate the end of the first year of the SCCS Parent Institute with us! Come out and add your voice! Happy Spring! It's hard to believe that we are entering our final months of the school year, but it's true- birds are chirping, trees and flowers are blooming, and summer vacation seems just around the corner! The end of the school year brings many exciting events like dances, trips, assemblies, performances, athletic competitions, and Step-Up Ceremonies, but there also continue to be high expectations for our students as well. It is important that students continue to put their full effort into academic classes and preparing for Regents and State Exams; SCCS offers multiple sessions of Homework Help for both Middle School and High School students each week, as well as Regents Prep for 9th and 10th graders. Our uniform and electronics policies remain in effect for the remainder of the school year, and we ask that families ensure students arrive at school prepared to follow these school policies. I encourage parents and guardians to check in with your children about how they are doing in this final quarter, and where they may need support to finish the year strong. I also encourage you to reach out to teachers and staff with any questions you have, so we can ensure that we are working together to help students be successful and meet criteria for promotion. If you have any questions about how your student is doing, or what the expectations are for promotion or earning credit, please contact our Guidance Counselors Stephen Burd and Avalene Persad, who are always happy to answer any questions or connect you to the SCCS staff member who can. We are proud of the work we do together as a community at SCCS, but we are always looking for ways we can improve and get better in our service of student learning and growth. My door is always open, and I welcome the opportunity to hear from you, receive feedback about the work we are doing, and learn ways we can support and connect with even more of our families. I hope to see you at SCCS sometime soon! Mr. Binyamin, Ms. Tenzin, & Ms. Tarez are wrapping up their social work internship here at Spring Creek Community School. For the past school year, they've provided counseling to a caseload of students, been a source of support for many others, and even ran fun lunchtime clubs with our kids. We appreciate their hard work and bid them warm thanks and farewell. Mr. Binyamin and Ms. Tarez are also graduating with their Masters in Social Work degrees from Yeshiva College in a few days! Congrats and we wish you the best of luck! As a part of the Community School Initiative with P2L, all students were screened for their vision by the NYC Department of Health in March. Students who failed the vision screening were then seen by an optometrist to receive a prescription and select their frames. 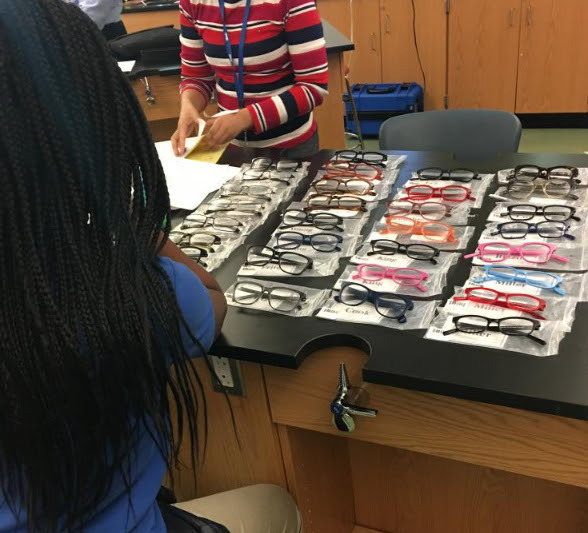 Last month, about 75 students received 2 pairs of FREE Warby Parker glasses. Thanks to Renisha, Mr. Hammer, & Ms. Webster for helping to organize this valuable program/resource and teachers for accommodating this interruption in instruction time. Congratulations to the 7th Grade for winning the last Hottest Attendance Challenge that ended before Spring Break! They were awarded with an ice-cream social, catered by Haagen-Dazs. We're continuing the challenge this semester to continue to boost our school wide attendance. Here are the rules: Each grade is competing against the other for the best weekly attendance from May until the first week of June. Every week, a winner is announced and their grade's thermometer increases in temperature, as seen on the attendance wall by the elevator bank. The grade that ends the challenge with the highest temperature (HOTTEST ATTENDANCE) will be rewarded with a special prize! Letters were distributed and calls are made home to students that are chronically and severely chronically absent. Guidance counselors and support staff are working individually with severely chronically absent students and their families to address barriers to their attendance. As parents, you can help us by making sure your child attends school every day on time. Please refrain from scheduling appointments during the school day and only keep your child home if they are truly sick. If Guidance counselors will be contacting families of students who are chronically absent to help support them.